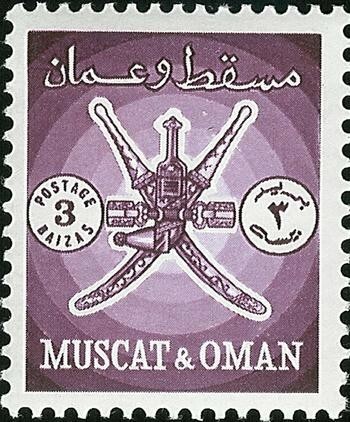 Floyd A. Walker (see Syria) writes, "OMAN requires only three stamps: Muscat (#1), Muscat & Oman (#94), and finally Oman (#122)." 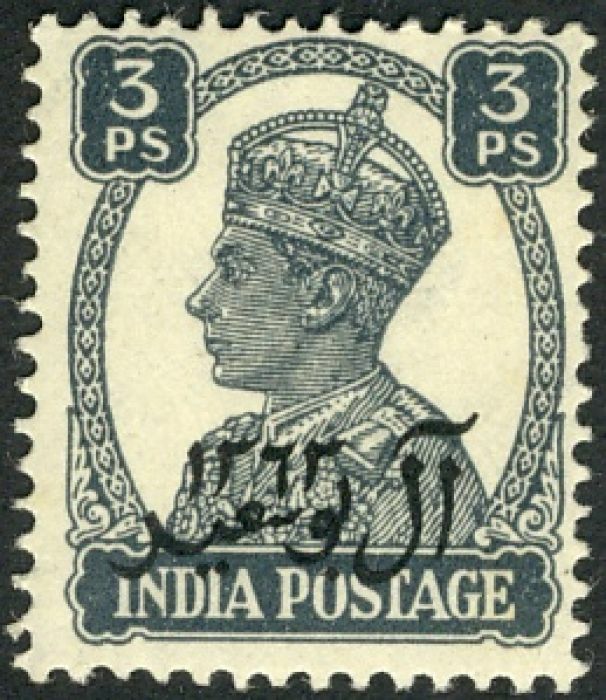 Gibbons  states that Indian stamps were used in Muscat from May 1864. In 1944, overprinted Indian stamps were introduced and from December 1947 Pakistan took over the postal administration and the stamps of Pakistan were used for a few months until British administration took over and the stamps of the British Administration in Eastern Arabia came into use. 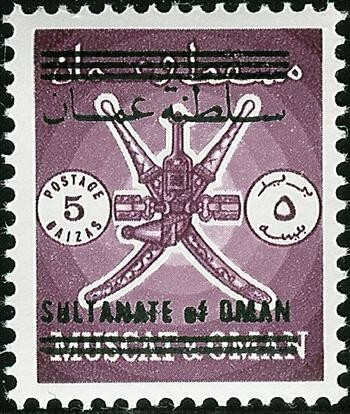 The Oman Sultanate took over the postal administration of Muscat in April 1966 and issued stamps inscribed "Muscat and Oman". In August 1970, it was announced that the country would be known as the "Sultanate of Oman".